This apartment building is still under construction and signs at the ground floor note that work has been stopped by the city buildings department. However, one unit appears to be occupied by someone. 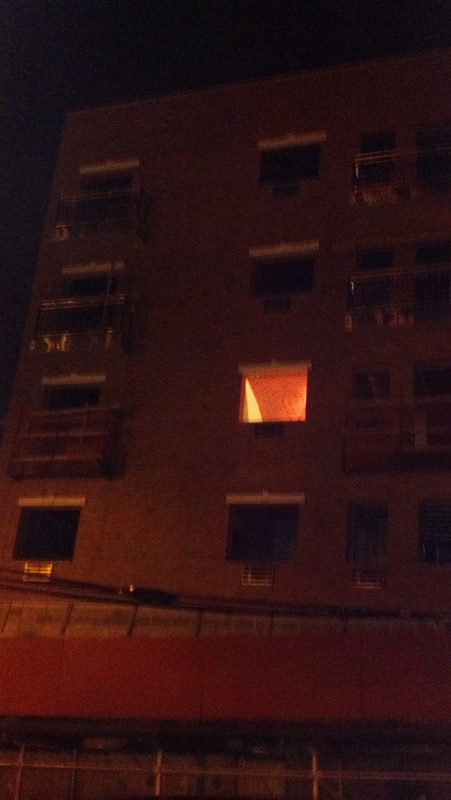 A bloody sheet hangs from the open window flapping in the wind. What happened in there remains a mystery.